Is it a good idea to replace my existing Sash windows with Casement windows? There could be any number of reasons to change your existing Sash windows. From simply being old and worn out, to the fact that some folks just don’t get on well with the design and want something different. Whatever your reason, a potential option when replacing a Sash window is to use a Casement window. If you are considering replacing your Sash windows with Casement windows, here is a handy guide to some of the things you could well need to know beforehand. 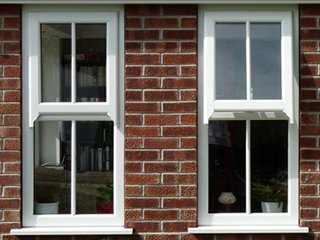 What are the differences between Sash & Casement windows? 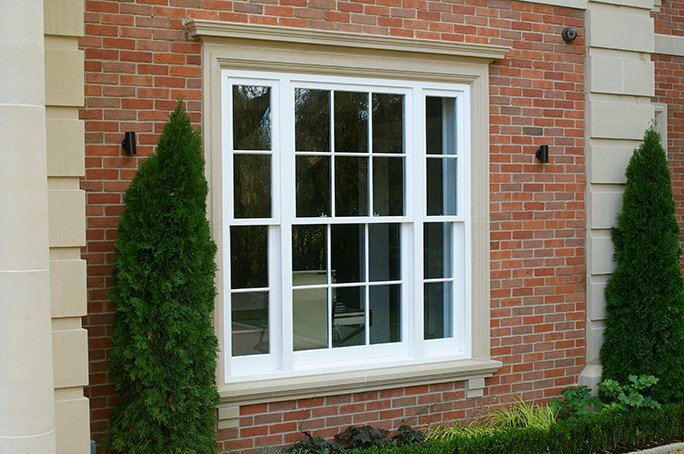 Replacing Sash Windows with Casement windows or Replacing Casement windows with Sash windows. How much does it cost to buy replacement Sash & Casement windows for your home? Alternative options to Box Sash Windows. Before we move on, it’s going to be worth pointing out that we are not talking about cheap double glazing ideas here. In changing from one window design to another, it’s going to involve more labour and potential making good (plastering, painting etc.). Therefore, it’s potentially costlier than making a “like-for-like” replacement, simply because the frames of each design are different thicknesses. The biggest difference between Sash & Casement designs are the way they open and close. Sash windows slide either vertically (the most popular version) or horizontally within the frame. 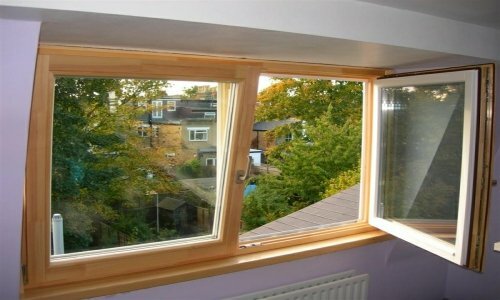 Casement windows open outwards by means of hinges on either the side, top or bottom of the frame. Casement windows with top hinges are called awning designs, and bottom hinged versions are called hopper windows. A classic Sash window is made of 2 sections, top and bottom. Single hung versions allow only the top section to open, whilst double hung versions allow top or bottom to open. The Sash would be very heavy to move without some form of assistance. The Sash, once slid upwards would just slide down again if it were not counter-balanced. Sash Windows (L) and Casement Windows (R) side by side. In order to accommodate this, the original Box Sash window has outer frames wide & deep enough to conceal a meatal counter weight. This weight is attached to the moving window section via a rope that runs up the inside of the frame, over a pulley wheel and then is attached to the window itself. With double hung Sash windows there are 2 sets of counter weights in each side of the frame. This counter balancing mechanism is why classic Sash window outer frames are so bulky. Some of the more modern Sash window designs have found a way to address the frame bulkiness issue, by using spring loaded “tensioners” in place of the rope & weight method. This does allow for thinner frames to be used. The other big difference that has a lot of influence, is that Sash windows are well known to be relatively more expensive than other designs. In some instances, the price difference can be quite significant. For example: You can find a UPVC Casement window sized 600 x 1000mm from around £200 fully fitted, but for a UPVC Sash window the same size it can cost £200 just for the window alone. Timber Sash windows are even higher priced. There is nowhere near the same levels of design complexity with a Casement window. The Window is fixed to the frame by regular hinges and the windows just swing open & closed. No need for thick frames to hide the “inner workings”. 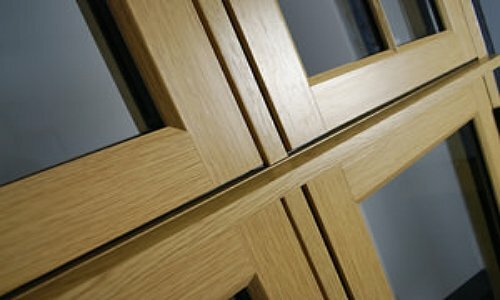 Frame thickness – Sash have thicker outer frames to hide the counter-weights. Function – Sash slide up & down, Casement swing open. 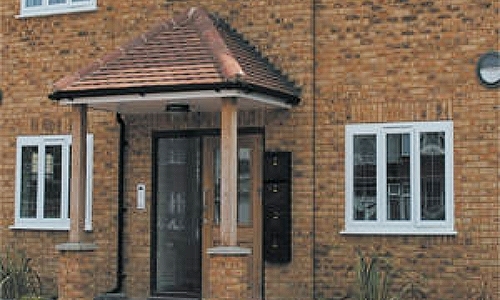 Price – For an equivalent sized unit, Sash will regularly be the costlier design. & Replacing Casement windows with Sash windows. There are going to be some instances where it’s not allowed to swap one type of window design for another. So before you go ahead and start spending your hard earned money, check with your local planning authority to see if there are any restrictions or covenants preventing the change. Listed buildings, houses in National parks and Areas of Outstanding Natural Beauty (AONB) will almost certainly have problems with permissions. You might also want to give consideration to the other local houses and the predominant window style in your location or street. 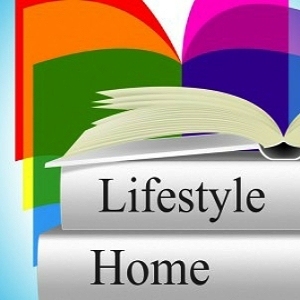 Is your house going to “stick out like a sore thumb” or could the change actually make your home less attractive or, even worse, less valuable? Casement windows with Georgian Bar inserts. If there are no outside restrictions, then it’s just up to you whether to go ahead and buy new casement windows or not. But as we mentioned in the article a few times already, you have to bear in mind that the window frames are different thicknesses. When you replace a box type sash window with a much slimmer casement frame it will leave a gap around the plaster work on the inside of the window. Anywhere between 1” to 3” on average. One quick fix that I have seen used is for the contractor to just cover over the gap with lengths of wooden or even UPVC Architrave. This is not really the way to do it properly. The gap should be filled in with cement mortar or plaster. When doing things, the other way around and fitting Sashes where there once was a casement window, the work is more involved. In order to have the frames sit flush in the opening (viewed from the outside), some of the plastering or render on the inside window reveals will have to be cut back to allow for the thicker frame surrounds. So, both “swaps” will need additional making good to the interior. 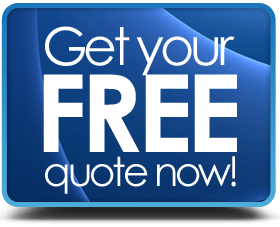 It might sound like unnecessary advice, but confirm with your installer that the cost of all this extra work is included in the quotation. Local installers, often take the time & trouble to come up with a specific costing for your work. 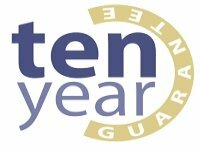 However, some large companies have been known to have a fixed cost per window for changing from Sash to Casement that could be in the region of £100 per window. So the average cost of replacement casement windows for a 3 bed semi-detached house with 9 Sash windows could be in the region of £900 to £1,000 extra. So the question could easily arise, “is it worth the expense to change Sash windows for Casement windows?” The best way to judge, is to get a proper written quote for the cost of the new double glazed windows and then assess your options. It’s understandable to just go out and look for the cheapest double glazing you can find, but don’t get carried away. No product that is made cheaply is going to be the best quality. If the double glazing window costs have been cut to the bone, then it’s highly likely that corners have also been cut and the product will soon disappoint. You also stand to face even more expense when you have to go out and replace your windows again when the failure inevitably occurs. If you can, always be guided by value for money. How much do double glazed UPVC Casement windows cost for a full house? For a Flat, Maisonette or Terraced house with 4 to 6 windows: £2,200 – £2,800. For a 3 bed semi-detached house with 8 to 10 windows: £3,000 – £3,800. For a 4 bed detached house with 13 to 16 windows: £5,200 – £6,000. How much do double glazed UPVC Sash windows cost for a full house? For a Flat, Maisonette or Terraced house with 4 to 6 windows: £2,200 – £3,600. For a 3 bed semi-detached house with 8 to 10 windows: £4,000 – £6,500. For a 4 bed detached house with 13 to 16 windows: £7,000 – £9,000. If you choose a colour or wood-grain finish for uPVC windows that can add around 10% to 15% to the cost of the window (not the overall cost of the job). If really need to replace your double glazing and you want to keep the general styling / appearance of a classic timber Sash window but don’t quite have the budget to do so, here are a couple of potential options. Clever use of Georgian bars or glazing inserts can give a plain glass casement window the look of a Sash window. A central horizontal glazing bar in an otherwise clear window will do the trick nicely. 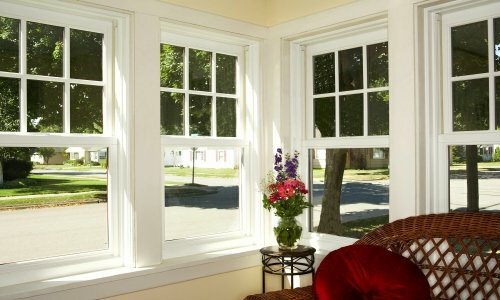 We touched upon Awning windows briefly earlier in the article. These are Casement windows that are top hinged. If you fit 2 vertically adjacent Awning openers in a single frame, the will give a very similar appearance to that of a classic Sash window design. With both of these options, the illusion of being a true Sash window disappears once the windows are opened, however, they could be a lower cost alternative to both Timber & UPVC Sash windows. For sure, it’s a decision that needs to be made after some careful deliberation about the pros & cons and it may well be tempting to look at the short term saving on the cost per individual replacement window. But modern double glazed windows last for years and so you will have to live with the decision for years also. And so in closing I will share with you a saying I heard many years ago which has proved its worth often, and that is: “Decide in haste, repent at leisure”. 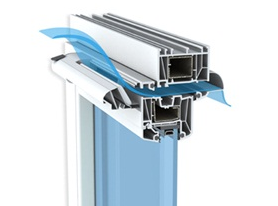 From Local or National Companies – Energy efficient, secure, great looking windows at competitive prices.